This is a standard 6 feet USB cable. 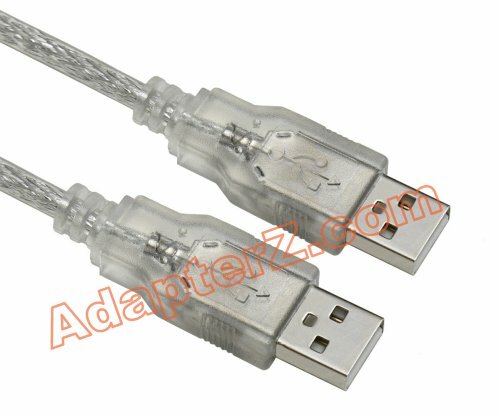 It has standard 4-pin USB type A connectors on both ends and silver / transparent finish. This is a cable you would normally use to connect special purpose USB devices to your computer. Please Note - most USB devices connect to computer via a USB A to B cable. This is a cable that goes from a "rectangle" to a "square". Please check it below in compatibility list. These "rectangle" to "rectangle" cables are used less often for such devices as USB drive enclosures for example.